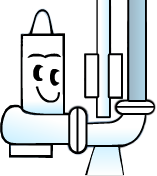 Welcome to JETT Pump & Valve, L.L.C. Our shop, warehouse, and offices are all housed within a 9,000 square foot facility in Southeast Michigan. 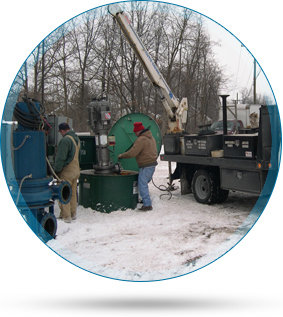 We specialize in the design, sales and installation of water and wastewater treatment systems, as well as service for any type of pump or pumping equipment, including valves and process equipment. Our highly trained field service technicians and sales engineers provide friendly service, and with over 60+ years of combined experience, we are certain that we have a solution for your specific needs. JETT Pump & Valve, L.L.C. prides itself on possessing a strong, stable foundation of technical expertise, integrity, perseverance and teamwork. Building on our strength of listening to our customers, employees, and partners, we dedicate ourselves to establishing the very best relationships with our customers. We’re dedicated to providing superior customer service with a focus on responsiveness, on time deliveries, competitive prices, and exceeding customer expectations. Goal for Mutual Success: To provide our customers a service that allows them to devote attention to the more profitable aspects of their business.